The neonatal intensive care unit (NICU) is where premature and special needs neonates spend the first days, weeks or months of their new lives. Currently, most NICUs are designed to provide optimal medical care, but interactive, personal care like kangaroo care, has been shown to decrease recovery time and time spent in the hospital. Researchers from the National Taipei University of Nursing and Health Sciences suggest changes in NICU design to create a more baby-friendly atmosphere. Suggests changes focus on creating a breastfeeding-friendly NICU that facilitates interactive care between mother and infant. Previous studies have revealed a disconnect between parent and infant when infant care is given in a NICU setting. Many mothers claim lack of privacy for breastfeeding to skin-to-skin care deters mothers from such activities despite the proven benefits. Other suggested changes include establishing a family-friendly area, milk expression station and providing new mothers with privacy while supporting the medical needs of the neonate. Source: Wang SF, Gau ML. 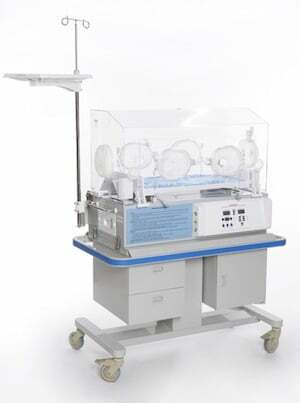 Creating baby-friendly neonatal intensive care units Hu Li Za Zhi. 2013 Feb;60(1):11-6. doi: 10.6224/JN.60.1.11.